Clemson DT Christian Wilkins will be a commonly mocked prospect to the Chargers. If he’s available, it would be the perfect marriage for a team in need of a disruptive IDL. His pass rush potential and leadership are a couple things they covet. 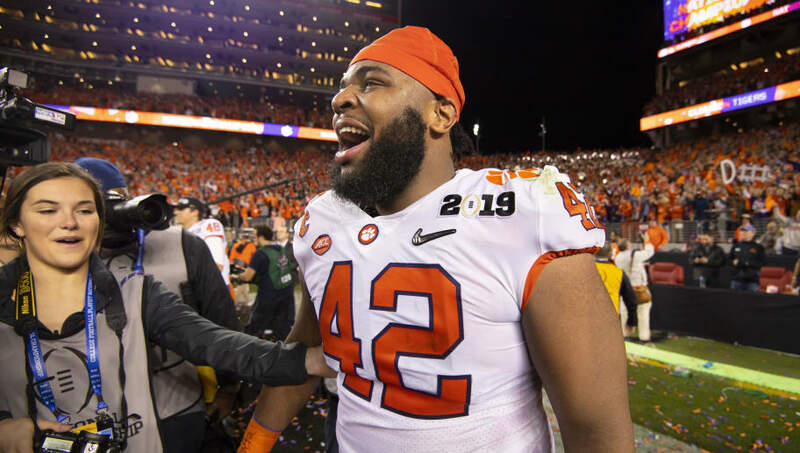 Christian Wilkins has a rare combination of agility and strength, which allows him to change direction very efficiently, an asset in both pass and run defense. He has a comparable resume and playing style to his 2019 NFL Draft contemporaries, Quinnen Williams of Alabama and Jeffery Simmons of Mississippi State. Wilkins had an excellent senior season, compiling 51 tackles, 14 tackles for a loss and 5.5 sacks. These numbers were right in line with his production over the previous two seasons. Scouts say he was wildly disruptive in the pass game, far more than his sack total would indicate. In 2016, Wilkins saw a lot of time at defensive end because an injury that presented challenges for him when he lined up on the interior of the line. Scouts believe Wilkins's place in the league will be on the interior of the defensive line. However, this does add to his versatility.